Exploring Deeksha – folly or freedom? I am going to assume anyone reading this article is already familiar with the concept and practice of channelling. Whether you have engaged in performing channelling, or giving attention to other’s who channelled, and exploring their channelled “teachings”, this article may be of interest to you. From my perspective, there is a common misconception among those who practice contemporary spiritualism (include the so-called “New Age” movement) that channelling is mostly a positive thing. At worst, it’s neutral—in the case that the material channelled doesn’t come across as particularly profound or useful. The other extreme response to channelling is that of fundamentalist Christian movements that are outright against channelling. In this article I intend to address these misconceptions. A human can willingly attune to one of these higher beings and receive messages for the benefit of those listening. Putting aside the predictable reaction of many materialistic skeptics to this set up, at face value, it all looks rather benign. Yet is this really what plays out in the typical channelling session? Ordinary Man is like a captain on a ship, lost and adrift at sea, and yet often not even aware that’s his predicament. Drifting on the ocean of Earthly life, we are each captain of our vessel (the physical and luminous body). The elements blow us here and there, and we “follow the wind” so to speak. Most of us received a number of common maps when we first arrived, in the form of conditioning and beliefs that set us up to integrate and adjust into our society. If we follow these maps, we’ll typically end up handing command of our ship over to pirates, and eventually end up on a desolate island working as a slave for some unknown and unseen slave master. None the wiser, many folk are prone believe this arrangement is perfectly normal and acceptable. We might not even realise we are a slave, and instead believe the transnational economic system constantly harvesting our creative Life-Force (in the form of labour / work / employment / etc.) is in fact something that is there to take care of our best interests. In fact Ordinary Man typically believes this system is the framework in which he can exercise his freedom and “make the most of life”. Many of the more spiritually folk eventually get fed up with the slave system, perhaps feeling the sense of entrapment it provokes within them, and they set off in their ship to find better shores. But now what? Where does one plot a course to? All the maps provided to us chart a course that one way or another leads back to the group of islands owned and controlled by the slave system. So how does one navigate elsewhere? This is where a great many spiritual seekers kinda end up winging it. I am sure most people reading this article know what that’s like. The average spiritual seeker simply makes the most of what little navigational resources she has at hand. Perhaps she is lucky enough to find a few maps and charts stashed away in an old weathered sea chest somewhere, and does her best to plot a new course. Yet typically these charts are from another era, and the seas have changed since then. Perhaps they are incomplete, or the people who made the charts were in fact winging it themselves. Perhaps the people who made those charts were themselves being misled by forces they were at the time unconscious of. How does one know? Let’s say someone called Garry is into channelling. First we can assume Gary, as a human persona, feels disconnected with his Spirit. Ultimately it is this sense of disconnection that motivates him to connect to another spirit, other than his own. This in itself is a spiritual predicament. Gary is first and foremost perpetuation his disconnection from his own Spirit. 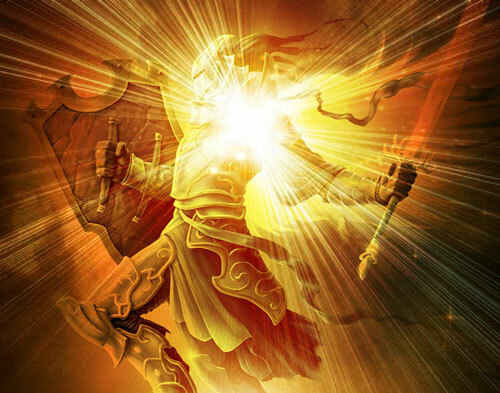 Is he certain his Spirit incarnated in order for him to simply connect to other spirits and channel them. Is he certain his Spirit wouldn’t rather be fully engaged with the world, and to fulfil its purpose as an act of service to Life. Each time Gary gives his attention to this other entity, he is establishing an energetic link, and passing his Life-Force along this link. Is he certain this is what the Mother (the source of his Life-Force) intended for him to do with this energy? Many forms of channelling actually open up the luminous body to influence from the channelled entity. According to my understanding, this is typically a violation of the agreement the Spirit of Man makes with the Creator. 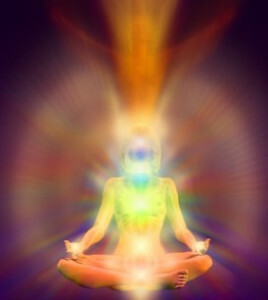 Our luminous body is intended for our Spirit to engage with and hold mastery and dominion over. To open it up to the influence of other entities goes against that intention. Is Gary certain he is somehow an exception to this basic principle? Engage you more fully with your spirit. Bring your spirit to the forefront of your experience of and your relationship with the world. Bring you back into alignment with and direct experience of the Divine Mother; to be in service to Her as a co-creator in service to Life. Bring about full conscious recognition of your agreement/purpose for being here in this dimension. To restore full conscious recognition of who you are as a spirit, where you came from as a spirit, and why you are here as a spirit. To restore full living recognition of the law of Reciprocity—what it means to live in sacred reciprocity with Life. To restore sacred alliance with: Your spiritual allies; with the Sun; with the Earth; with the Divine Mother; with the Divine Father; with the ancestral spirits of your place of birth; with the geography and spiritual matrix of your place of birth, such as mountains, rivers, lakes, etc. It would be wise for Gary to ask himself how many of these things are being fulfilled through his channelling. Similarly, if you study channelled teachings, as yourself how directly and effectively those teachings are bring about the above list of conditions. The link a channeller makes with lower astral entities (which is pretty much the only kind of entity that might be in a position to be channelled) sets up a bond. This bond comes at a cost. We give up our precious life-force. The other issue is this: What is that entity linked to? Why has that entity, fallen master, fallen angel, etc., been restricted to the astral realms? Why is he/she/it not incarnating to resolve its issues? Why is it not ascending to higher planes of consciousness to continue its journey? There is a very high probability that entity is linked to other entities, and that directly or indirectly it is linked to dark forces. It’s alliance or link with these dark forces are an aspect of what keeps this soul or entity entrapped and in a degraded state. Rather than resolving its issues it is messing around with lost human souls that are looking wherever they can for guidance. Whoever such a soul/entity communicates with (assuming the channelling is not simply channelling his own alter-ego) is also going to become linked with the dark force just mentioned. The link may be subtle, but such links are beyond time and thus never go away. Not unless we become conscious of them and clear them, or they are cleared through some other act of Grace by the Mother or some high being working in accordance with the Mother. What about the people following a channeller? Anyone investing a significant amount of their attention (=Life-Force) into a channel is inadvertently investing their Life-Force to 1) the lost/confused spirit that is being channelled, and 2) what ever demons and dark forces that confused/lost spirit is being held back by. Somewhere a long the way, we might wish to receive a source of “higher” guidance. At some level we recognise that we struggle to by led by our own spirit, so we look to other spirits for direction. But let’s take a look at the typical set up. Here I am, as an individual unit of life. I feel lost and want guidance. Then there is this other unit of life that is in another realm of plane of existence, who is looking for souls that are lost, and wishes to help them out. I set up some kind of call to this other spirit, it answers, and a dialogue begins. All of a sudden I am channelling, or listening to someone else who is. Let’s take a look at this set up. The human Mind is designed to attune, through the resonant space of the Heart, to the human Spirit. 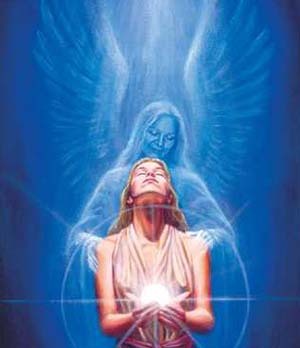 The human spirit exists on a high plane that is well beyond the astral dimensions one typically finds entities hanging around waiting to send messages down to humans that are struggling to connect with their Spirit. Once a being is ascended, it doesn’t typically hang around the lower astral realms most channels connect to. Angels most certainly don’t roam around lower astral planes. 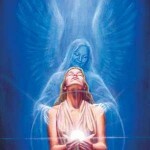 Any entity that claims to a channeller that it is an Angelic being as more than likely lying. Or at the very least being deceptive. Various other forms of entities the average channeller wouldn’t want to hang out with if the entity was hiding behind a veil the channeller can’t see beyond. This list is not meant to be comprehensive or complete. Most of these energies, entities, and beings are starving for Life-Force. Their connection to the Divine has been compromised, one way or another. They are paying the price for that compromise, and are perhaps more lost than the average human being. It’s quite a privilege to incarnate into human form, and one that most astral entities are presently forbidden to experience. Without a source of abundant Life-Force there are a few options. Accept the situation, and seek redemption. Convince the Divine Mother to turn the tap on. Not likely. Incarnate into the Earth plane. Possible, for some, but most likely in a fairly miserable situation, and not likely as a human. Steal energy from some other entity that does have a flow of Life-Force from the Creator. It’s this forth option that motivates the majority of entities interacting with human beings. In most cases, when a human soul chooses to channel another being from the astral realms, this is the kind of entity that will be answering their call. Wait a minute… aren’t their higher beings? It’s possible, just not very probable. Let’s take a look at this. If a human soul knows how to attune to the realms beyond the astral planes, this presupposes they are connected to and conscious of their Spirit. If a human being is connected to and conscious of their Spirit, what need do they have for channelling some other entity or Spirit? As a Spirit they are already vastly wiser then the typical human persona. What’s more, if they were to receive help from fellow Spirits and spiritual allies, it would happen through direct perception. It would not require “bringing through” and “channelling” this higher Spirit. It’s unlikely the higher Spirit would want anything to do with such an act. There’s a basic lack of spiritual dignity involved, which a higher spirit is not going to want to enable and play into. That kind of set up is like a form of spiritual co-dependence. The channeller is the victim; the world at large and/or ignorance is the aggressor; and the high spirit is meant to step in as the saviour. Then what are our options? Well, that’s just it. We are on the ocean of Life. We are in fact a part of that ocean of Life. The ocean of life is the oceanic vastness of the Divine Mother Goddess. She did not abandon us here. We may have abandoned—or turn our back on—Her, and for that reason she may leave us to our own devices. But we are far from being abandoned. The moment a human soul shows any sign of interest in finding and aligning with the Mother, her interest in that human begins to stir. The more interest the soul shows in LIFE, the more LIFE pays attention and begins to co-operate. You see, the ‘co’ in co-operation implies two or more parties. In this case, it’s your soul, your Spirit, and the Mother. The Mother can do little more than hold space for our party tricks, so long as we have our back to Her. She will, of course, provide signs and signals, and these will typically manifest through the workings of Her Creation. The body, the mind, the emotions, nature, weather, mountains, plants, rivers, animals, situations, etc. Yet ordinary man has turned his back on the natural world, including his own body and local environment. It’s as if he believes himself to be captaining a ship, whilst at the same time he’s not engaging with the ship itself. What’s more, he is not engaging with the natural forces of the surrounding environment. This is what I meant earlier about many of us ending up in the situation where our ship is hijacked by pirates. Where does the captain go, when the ship is hijacked? He is usually locked up under the decks, or tied to the mast, or perhaps forced to join the other pirate sailors serving the pirate captain. Even then the Mother will continue to send signals. She will utilise whatever means are available to catch the attention of human souls. Health issues, emotional problems, painful situations, inspirations, synchronicity, dreams, blessings, Grace, etc. The Mother will work through these means to grab our attention. The challenge is that the attention of ordinary Man is well and truly captivated by something else. There is very little any channel—or astral entity, if you’re the one doing the channelling—can tell you that you can’t already access in the vast resources of your own inner Being. Over the past 25 years or so I’ve looked over a fair share of channelled information, and I can’t say I ever once saw anything that had real spiritual depth and substance to it. As far as I could ascertain, much of it is geared toward appealing to the human ego. The typically channelled message sounds “nice”, and encourages people to be all of who they are, etc. There are whole genres of channelled data that encourage people to be more abundant, and create greater health and wealth, and human embellishments through things like “The Law of Attraction” and creative visualisation.The tone is generally very supportive of the human persona, bolstering it, pampering it, appealing to its spiritual desires and aspirations. But is that actually beneficial? Does that actually lead a person into genuine spiritual work and spiritual engagement? Not that I have seen. There is nothing actually wrong with this kind of carry-on. It all comes down to what you are looking for. In my experience, many spiritual seekers are generally looking for spiritual answers to their human discomforts. They look to spirituality as a means to provide greater human comfort, to help the ego cope with life. In such cases, channelled information may help, or at least entertain for a while. But what about those of us who want to have direct experience of their own Spirit? To them I would say channelling and channelled information is at best a distraction, and at worst a total diversion. The reality is that your life is in every moment giving you all the signs and signals you could ever need for the sake of leading you to your salvation. For any one of us, it’s really just a question of whether or not we have been paying appropriate attention. Or is our attention caught up in something else? What kind of things captivate our attention? Submersing ourselves in spiritual paths and practices that are not aligned with our Spirit, whilst believing they are. So long as our attention is captivated by these sorts of things (and there are plenty more than those I have listed), it is relatively difficult for us to give our attention to the signs and signals of the Mother. Simply put, many people are so wrapped up in their self-centred relationship to the world, there is hardly room for LIFE itself to get through to them. The last resort is that LIFE pulls the rug out from under our feet, and whilst sitting painfully flat on our arse, LIFE has a brief chance to get through to our attention. I’ve met a lot of people who can relate to this dynamic. It’s rather comical really, so please don’t take my being frank about it as a sign of taking this all too seriously. We can only smile out our folly, and do our best to see through it. Simply put, you already know all you need to know order to Act in accordance with your Spirit, and according to your capacity in this moment. You already perceive everything you need to perceive in order to derive sufficient personal power for the implementation of your next move, as a Spirit. In all but the rarest of cases, any Being wiling to be channelled by a confused human ego is not going to provide you with information that is actually of any real value or spiritual significance. On the contrary, when you are engage with Life and the world as a Spirit, in full command of your vessel, and navigating the ocean of Life to the fulfillment of your divine purpose, it’s you these entities will be looking to for help and salvation, not the other way around. Nothing in this world of duality is black and white. So I shall reiterate that none of what I have shared in this article is meant to imply there is never anything useful to be derived from channelled information. There is nothing outright “wrong” or “bad” with channelling. It is simply an actual of partial and dualistic consciousness that may provide some benefits and yet may also have other consequences many who look to channels for answers will be blind-sided to. Just keep this in mind. As within your own heart for the answers you seek, and then pay utmost attention. I don’t recommend engaging in the act of channelling, because this can have unforeseen and lasting negative spiritual consequences. There are certainly situations where words that have been channelled will be just what you need to read or hear in that moment, in much they same way you might pick up any random book, pick a page, and receive some form of guidance. In working with a channel privately, it’s quite possible that channel and their entities they are linked to (if it’s not just their own alter-ego or soul they are tuning into) will see things in your luminous body and give voice to that. This may prove helpful. It may be useful to you in that moment. My invitation is to simply keep it in a healthy perspective. Mainly that the channel is not telling you something you can’t directly access yourself. For the Spirit of Man, spiritual alliance is vital. We were never meant to navigating through this world without spiritual allies. But our spiritual allies will want nothing to do with channelling. Any spiritual Being seriously worth investing your attention into, simply won’t condone nor participate in the undignified act of belittlement that is a prerequisite for you to subject your soul to the woes of channelling. Your allies will communicate directly with your Spirit. It then remains up to you to have a clear and pure heart, as that is where your Spirit will engage with your luminous body to in-form your human self with its wisdom and guiding light. If your own Spirit can’t get through to you in a way that is meaningful, how is some other spirit meant to do any better? 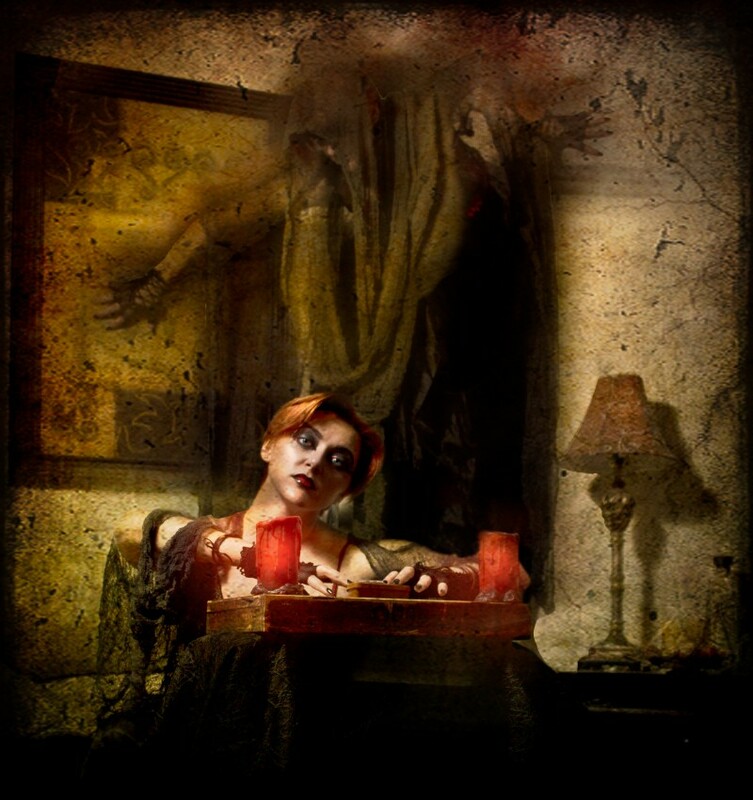 Spirits (as opposed to astral entities) engage with and relate to other Spirits. Your task is to come to know yourself as a Spirit. When the time is ripe for do so, I may write some articles on what that involves. In the mean time, feel free to ask. Thank you. I am, as I type, visiting John ofGod in Brazil. He isa pretty famious channel who facilitates healings all the time. Im assuming he’s an exception. Any thoughts on that? Also, I’ve done my share of ayahausca and hear the danger here is picking up attachments. Any thoughts on that? Thanks! Hello David. I replied to you by email. A couple of days ago. I trust you received it. Excellent article(s). I have just spent the last few hours reading your latest posts and links. Spiritual integrity has been on my mind a lot for some years and especially in the last week. Most of the things that I look at don’t pass the sniff test. >Your task is to come to know yourself as a Spirit. When the time is ripe for do so, I may write some articles on what that involves. In the mean time, feel free to ask. Do you meditate above your head? What do you think about this technique? What do you think about ascended masters (St Germain, Djwhal Khul, etc) in relation to channelled entities? It’s nice to hear you’ve been perusing through my recent posts. I see no reason for people to “channel” ascended masters. To be honest, I have a hard time believing Ascended beings actually bother hanging around on astral planes wanting to engage in dualistic channelling practices, with human beings cut off from their Spirit. It’s possible, but doesn’t make a lot of sense to me. As we recover spiritual sight (by the Grace of the Mother, in response to our impeccability) and recover consciousness of Self as a SPIRIT, it is only natural we become aware of other spirits. Both negative spirits, and positive. From this perspective, communication with an Ascended master shouldn’t be all that different from deep and meaningful (heart-felt) communication with someone in the flesh. Just as I don’t need to channel my friend to have a conversation with her, one doesn’t need to channel a spiritual master in order to have communication with him/her/it. With regard to meditation above the head. As you know, there are aspects of Buddhist Tantric practice that get into such things. We both know V & WC suggest such practices. I see nothing untoward about it, although I would say it should be balanced with equal attention in the centres below the feet (a few feet below, and right down in the centre of the Earth), and with the Hṛdaya in close to the Heart. That way the Holy Trinity (so to speak) is complete. Father sky (Ranginui), Mother Earth (Papatuanuku), and the son Tane (or his half-brother Aoraki/Aorangi). I get the impression that excessive meditation above the head may tend a person toward dissociation from the Earth, and thus from the Mother. 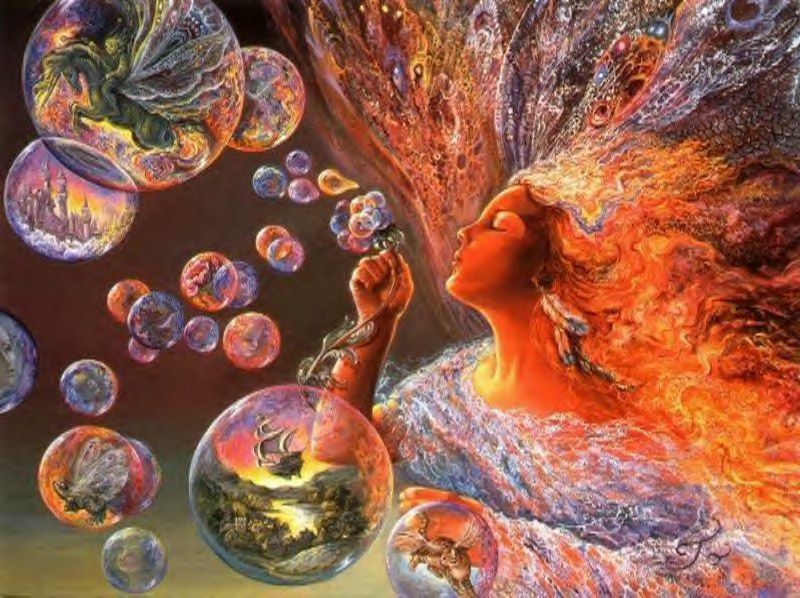 It’s dissociation of that kind that has, from my perspective, played a big part in many spiritual paths becoming life-taking/destructive, out of balance, and disconnected from the holism, beauty, and richness of Life. 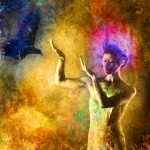 Channeling is no longer necessary and was always subject to interference. It was also dependant on the awareness of the channel and tied somewhat to their vocabulary. It served a purpose but that has past. We are moving out of duality and you can now communicate directly to any Being you like. The first port of call should really be your Self. There are higher Beings who are caring for you constantly and they can and do occasionally manifest to speak with people but that is fairly rare. The Ascended Masters are real too and will soon be speaking a bit more directly (on TV) so channeling is rather obsolete. The tide of our world is turning and tremendous things are about to happen. We no longer need concern our Selves with what no longer serves. Hello Ray. Thanks for taking the time to share. I agree with what you say. I took a look at your web-site (your bio mostly). Nice to see Life brought you to live in Aotearoa, and to Golden Bay. A beautiful part of the country. any thoughts on and/or comments on the channel of Helen Schucman (A COURSE IN MIRACLES)? I am familiar with ACIM, and have read through various versions of it. The key is always what you yourself experience from such a text. Obviously that is of primary importance. With that in mind the primary challenge is the fact we typically don’t know what we don’t know. If a particular teaching has blind areas, and I am also blind in those areas, I may take up a particular teaching and feel a great rapport with it, and yet all the while remain incomplete within myself. The particular teaching I felt so aligned with will do little, if anything, to help this. I once spent some time with a relatively well known ACIM teacher. He travels and teaches internationally. I was surprised to discover he was, from my perspective, a subscriber to the idea that the “world is an illusion” AND therefore “nothing in the world is important”. From my perspective, this resulted in him having a careless or indifferent attitude toward Life and what happens in the world. It is one thing to recognise that the world we perceive with our sense and inner sensibilities is an illusion — which, by the way, simply means the world is different from how it appears to our perception of it — but it is another to use that as justification for writing off the world as somehow cosmically irrelevant. That’s a grave mis-take on reality as created by the Mother. I am not suggestion this guy was typical of other ACIM adherent, but it certainly stood out as something to be mindful of. I’ve seen a similar short-coming in other practitioners of non-dual paths or traditions. ACIM is, in essence, a “Christian” style take on non-duatity, or Vedanta as it is called in India. My experience is that this short-coming arises when a practitioner is disconnected from the Heart. The teachings are received and internalised in a very mental (and masculine/yang) way. This results in an imbalance in their perspective. There is nothing ‘wrong’ with this, per se, it’s just incomplete and lacking in something fundamental that will eventually have to be grasped and integrated. In a nutshell, what gets missed is the Divine Mother… the Divine Feminine polarity. The Yin aspect. For sensitivity to this expression of the Divine one requires an open and functioning Heart. The Heart recognises the illusionary nature of the world perceived by Man, and yet rather than disconnect Man from the world, it provokes us to dive deeper into the world. The relationship with the manifest world deepens and becomes more profound, as opposed to cutting off from it and writing it off. In essence, one goes to the Heart of the world, through the Heart… the Heart of the Matter (‘matter’ = Greek ‘mater = ‘mother’). ACIM teachings have a high potential to bring about the effect of a lopsided approach to LIFE. If that imbalance is avoided, there is much that can be gained from teachings such as ACIM… for certain kinds of people… or, more exactly, people of a certain disposition. I would say that Helen Schucman had a profound influence on the quality of the ACIM teachings. From my perspective, and I’ve not looked deeply into this as of yet, I would say her own tendency and blind-sidedness toward intellectualisation and mentalisation skewed and shaped the writings found in ACIM. Simply put, ACIM is not the accurate representation of Christ Consciousness it claims or implies itself to be. Whether The Christ had anything to do with ACIM is not something I claim to know. My sense is that there was an impulse from The Christ that impacted the luminous body of Schucman and inspired what she wrote. But her luminous body was far from being balanced and integrated in its own right. Thus what came forth was a product of Helen’s own psyche, as stimulated by the impulse she was impacted by. Therefore her own imbalances and blind-sided tendencies are embodied in the ACIM work. I trust this makes some sense, and is of use to you. I want to thank you for your insight and what I feel is a honest and fair assessment. Thank you for your time, Marvin. Hi Marvin. You’re most welcome. By the way… Just now I made a few edits and amendments to my earlier comment, so you may like to reread it. I wish you all the best on your path as a Spirit. Marvin, I could also add that from my perspective you are obviously seeking for greater self-knowledge, and that search has you looking in many areas. I took the liberty of checking out what’s publicly available on your Facebook page, and I get the impression you will ultimately benefit from developing greater spiritual discernment. In my experience, that’s a quality that arises from the Heart (our Spirit). Thus the challenge ultimately is to dis-cover and re-cognise your Spirit, AND its purpose or true function in the world, and your agreement with the Divine. Through that, discernment comes. With some self-investigation, you may discover there are people and practices you have an interest in and link yourself with that are not aligned with your Spirit and your Agreement. Rather, they serve to take you off track and hold you in limitation. Rigorous self-investigation is vitally important. The ACIM lessons do, in their own way, provide a kind of self-investigation or enquiry, although they don’t necessarily engage the Spirit (the Heart). They can, however, help pave the way to accessing the heart by virtue of the fact they hold the potential to free up the Mind from certain delusions and entanglements. But, of course, it all comes down to the practitioner, and how much their own tendencies and predispositions distort or enhance the process. That’s why alliance is important, as it was never the Mother’s intention that we go at this battle alone. >re-cognise your Spirit, AND its purpose or true function in the world, and your agreement with the Divine. What is this true function? What is this agreement? Are they two different things? How did you determine yours? Was it given by revelation in meditation or by a living master? I am assuming it is like a personal mission to work on during this lifetime. I have heard of agreements before, but I find the methods of determination rather vague and subjective. I am familiar with an obscure, esoteric form of astrology that supposedly outlines this – and to be honest I have found it very helpful and accurate for myself and others. (I could apply this to your chart if you are interested.) But this still seems to be rather indirect. The man who discovered this method has since died so I never got a chance to talk to him about it. I appreciate your pertinent questions. From my perspective, and in the way I utilise these words, our “purpose” or “function” are an element of our “agreement”. Our agreement (as a Spirit, with the Creator) will determine or specify our function or purpose in the world. What is otherwise referred to as our vocation (our divine calling). There are many other facets to our agreement. People we are to meet, exchanges that are meant to happen, the parents and siblings we will have, where we are born, etc. (to name a few). According to the Original Knowledge I am familiar with, our agreement will always be an act of service to Life. It is not simply a self-centred act of doing something for our own human benefit or the fulfilment of our desires. So that, at least, provides a good starting point for qualifying whether we are even looking up the right tree. If whatever it is we’re considering doing is a self-centred act or in any way not aligned with LIFE, then chances are we’re acting on behalf of something other than our Spirit. In my experience, our vocation is something we each have a responsibility to ascertain inwardly, through our own process of self-enquiry. In most cases, a Master (someone with spiritual sight) would be highly unlikely to tell someone their purpose. One reason I say that is this: If we haven’t developed the faculties and powers necessary to determine our purpose, we very likely haven’t developed what is necessary to engage in that purpose. It is our Spirit that needs to be engaged. When we engage with our Spirit, our purpose starts to impress upon our mind and come to the light of conscious awareness. If that hasn’t happened, and we simply hear about our purpose from an outside source, what are we to do with that information? What we are likely to do is either try and make it happen through the will of our persona and/or or mentalise and conceptualise it on a superficial level. My experience is that at most, in most situations, a Master may provide some pointers. Perhaps I tell the Master, “My purpose is XYZ”. She might say, “Interesting. Spend time recapitulating ABC, confessing and DEF, and report back to me”. It would all depend on what was most useful (spiritually) for the aspirant. I suspect that only in very rare cases would it be useful for the aspirant to be outright told what their purpose is, and likely only when the aspirant already had their finger on it, but were not 100% certain. So where does that leave us? It’s something I intended to write an article on. So I will do that now, and post a link here when it is done. Fascinating. I’ll look forward to the article. like to thank you for honesty and wisdom. They are of great value. Thanks for taking a moment to respond and share. I should perhaps add, there is nothing inherently “wrong” with the non-dual approach. Far from it. In fact, from where I stand, it is the quintessence of every holistic spiritual tradition or cosmology. It is what ‘I’ live for, from, and toward. I would say the same is ultimately true for the ‘I’ in all Beings. So I hope it didn’t appear I was speaking against the non-dual perspective (be that ACIM, Advaita Vedanta, the Dao, che-yong, or some other approach). From my perspective, the challenge is that of residing in non-dual awareness whilst simultaneously being absolutely present to the many displays and manifestations of multiplicity, experiencing those displays, in essence and in form, as non-duality AND yet as absolutely valid and significant (or, shall we say, no less valid/significant than the ultimate reality… whether we name that God, Tao, Brahman, Great Spirit, or whatever). In my experience, which is by no means complete, Man comes to a true appreciation and experience of non-duality THROUGH duality, not by avoiding it. Put one way, we must become intimately familiar (family) with the Mother AND the Father expression of the Absolute (you’re at liberty to substitute M and F with any comparative words you prefer… Yin/Yang, Masc/Fem, Shiva/Shakti, etc.). To the degree Man KNOWS (as living knowledge) the Mother and Father expression of the Absolute, is the degree to which Man knows him/herself as the Son/Daughter/Child extension of That, and consciously functions as That. What the Original Knowledge suggests is that Man arrives at knowledge and experience of the Father THROUGH or via the Mother. 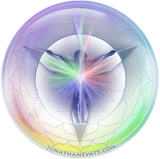 This is reflected in manifest reality through your and my biological and family experience. We both gestated in and arose from the womb of our mother; we both were nourished by the breast of our mother; she is who we had the most intimate connection with, etc. The father is typically in the distance, relatively speaking. What I determine from this is that any tradition that has dropped (or actively denies) the significance of the feminine polarity is not only incomplete, but goes against Life. I might also point out, it is my understanding all spiritual traditions with a non-dual perspective at their peek, present that perspective in the very later stages of their spiritual path, set firmly on a foundation of spiritual integration of duality; and, not as something exclusive… in the sense that non-duality and duality are mutually inclusive, as opposed to N.D. being exclusive or apart from D. If they fail to do this, I would be suspicious of serious imbalance. I trust this clarifies any potential confusion my earlier words may have caused with regard to the significance and validity of non-dual awareness. I give you great thanks as you provided greater context in the most beautiful and poetic fashion. I will stay tuned to more of your articles, Marvin. Any thoughts on Edward cayce and/or neale donald walsch? Although radially different in what they do, they both seem to be channeling. Hi Alex, My understanding with Edgar Cayce is that he was using a degree of spiritual sight to do his readings. I get the impression his capacity to utilise this “sight” was not integrated into a conscious aspect of his psyche, so he would utilise a trance state to access it. In my view, this is somewhat different from channelling, per se. As for NDW, I don’t get that he was channelling either. Not directly. My impression is he was accessing his own “memories” (beyond the timeframe identified as NDW) based on certain limited spiritual understandings he developed at some stage in his over process as a soul. I do get the impression that process in itself was influenced by forces outside of his own psyche. I have no particular opinion on the intention of those forces. So in that sense, one could perhaps suggest he was in effect channelling, through time, but not really in the sense conveyed in my article. For what it’s worth, in my experience there was a lot of potentially useful information in what NDW has to say, and yet it was also seriously deficient in certain important ways. So from where I stand, it’s information that may potentially have value in a passing way. By that I mean… on your journey, if his material is of interest to you… pass on by it, rather than stop and make an ongoing thing out of it… in passing take what helps you at the time, and keep moving onward and inward.